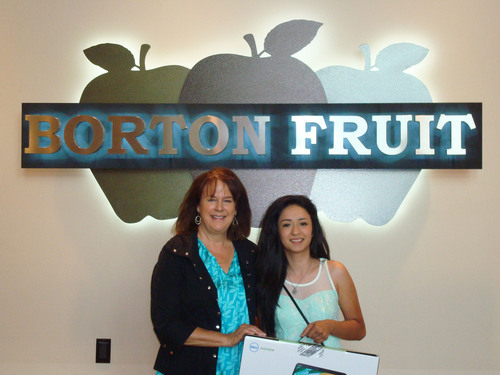 The Washington Apple Education Foundation is the charity of Washington’s tree fruit industry. Organized in 1994, WAEF coordinates, develops and promotes charitable activities on behalf of Washington’s tree fruit industry. The WAEF Scholarship program was developed to provide an avenue for individuals and businesses involved in the tree fruit industry to fund scholarship awards for families in the tree fruit communities. WAEF encourages new scholarship award development by coordinating all details of the scholarship promotion, recipient selection and award management. 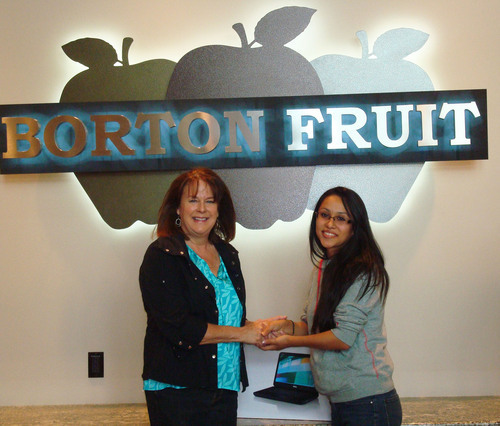 Borton & Sons, Inc. participated in this program for the second year; giving away scholarship opportunities to graduating high school seniors and students currently enrolled in college whose parents/guardians are employees of Borton Fruit. Applicants must plan to attend an accredited two or four year community college, university or technical school within the territory of the United States. Nora Alicia Castaneda, currently attending Western Washington University as a freshman earning strong grades. She plans to enter either the health care or legal fields with a desire to help others. Her parents are Borton & Sons, Inc. employee Jesus Aspeitia and Maria Arellano. Andres Gomez, graduating this spring from Highland High School. He will continue his education at Highline Community college. His father is Ricardo Tereza, employed as a field labor with Borton & Sons, Inc., and his mother is Lucina Gomez. Mariany Morales, graduating from Davis High School this spring. Mariany will continue her education planning to work in the healthcare industry. Her Farther, Remigio Morales is employed at Borton & Sons, and even Mariany works during the summer months for the company. Aureliano Rivera, a Davis High School Senior. She plans to continue her education in preparation for a future in healthcare. 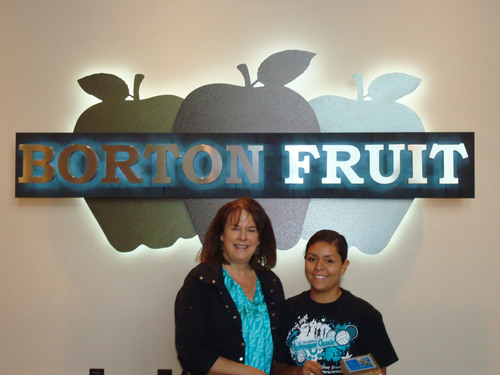 Aureliano’s Mother, Teresa Diaz works for Borton & Sons, Inc. 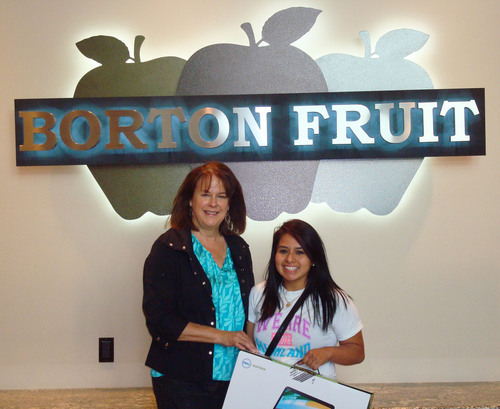 In addition to the 4 Scholarship winners, Borton & Sons, Inc. awarded 4 additional applicants that applied with laptop computers to contribute in improving their education. The Student’s that received laptops are; Alejandra Artega, Diana Mancilla, Debora Aguillar and Anjelica Reyna. Please see pictures below of them accepting their prizes from Marla Borton and Byron Borton.